Eliciting Children’s Perspectives of Risk and Protection in Liberia: How to Do It and Why Does It Matter? After 14 years of civil war and two rounds of democratic elections, Liberia is working to reduce child abuse and exploitation. Young children’s perceptions on protection and risk are rarely elicited to inform program planning and intervention. The aim of the present study was to explore young children’s perceptions of child protection and risk in a post-conflict setting and how visual methodologies may facilitate this process. Six group discussions using visual methodologies were conducted with 59 children aged 7–11 years living in family and residential care in rural and urban settings in Central and Western Liberia. Data were analysed using inductive coding. There was no unanimous concept of ‘child’, which included people with limited capabilities between the ages of 5–46 years. Children identified a number of risk and protective factors. Normative knowledge (e.g., smoking) elicited unanimous reactions whereas survival-related life experiences (e.g., violence or food) yielded ambivalent understandings of risk and protection. Visual methods facilitated active and thoughtful participation among young children. These findings add to the scarce literature on child participation in public decision-making in child protection. They also have practical implications. 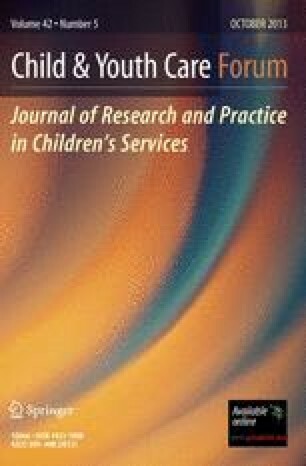 Children’s own and community transmitted perceptions of life experiences need to be taken into account to inform service planning and implementation. Visual methods are recommended to that end as they increase participation among young children and help avoid pre-conceived notions of dangerous and protective practices. This research would not have been possible without the children who so generously shared their time and ideas and the dedication of the KAP study research team. Thank you also to Carl F. Weems, Tinka Markham Piper, and two anonymous reviewers for their careful read of different versions of this manuscript. The study was funded by the United States Agency for International Development (USAID). The contents are the responsibility of the authors and do not necessarily reflect the views of the funder. M.R.-C. takes responsibility for the integrity of the data and the accuracy of the data analysis. J.M. and C.B. disclosed receiving employment salary for the implementation of the KAP study. M.R.-C. disclosed receiving consultation fees for the design and implementation of the KAP study. Organization of African Unity. (1990). African charter on the rights and welfare of the child. http://www.refworld.org/docid/3ae6b38c18.html. Accessed 27 May 2013. Republic of Liberia. (2012). Children's Law. http://mogdliberia.com/images/stories/pdf/children-law-as-passed-by-the-Senate-15-September-2011.pdf. Accessed 27 May 2013. United Nations Mission in Liberia (UNMIL). (n.d.). UNMIL background. United Nations. http://www.un.org/en/peacekeeping/missions/unmil/background.html. Accessed 18 March 2013.